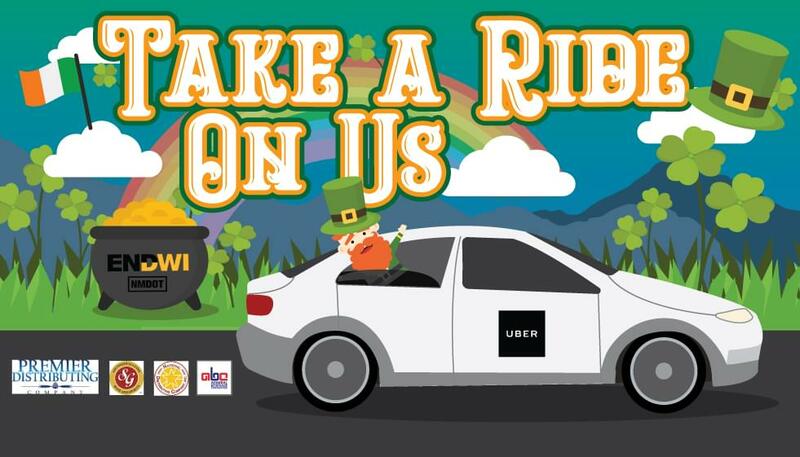 This St. Patrick’s Day holiday don’t drink and drive. Take a Ride on Us instead. Open the Uber App and we’ll pay up to $10 for your ride. Use the code ABQGREEN19. This code is valid from Friday, March 15th at 12 PM to Monday, March 17th at 3 AM for the first 600 riders. Each code is good for up to 2 $10 trips. Take a Ride on Us – together we can ENDWI.